But Balanchine’s ideal “American girl” may not necessarily have been what white audiences in America would have expected. In Paris, before ever coming to America, Balanchine had encountered one of the most accomplished and famous American dancers of the day… As the dance historian Beth Genné…posits…Balanchine had found in Josephine Baker his first American muse in a long line of long-legged, lithe female dancers… And it was not only American women whom Balanchine admired; he is also known to have found great inspiration in Fred Astaire… In short, one may surmise that for Balanchine in 1935, if there were such a thing as American ballet, it relied on the American body and its ways of moving, not – as Kirstein held at the time – on American subjects, themes and music. 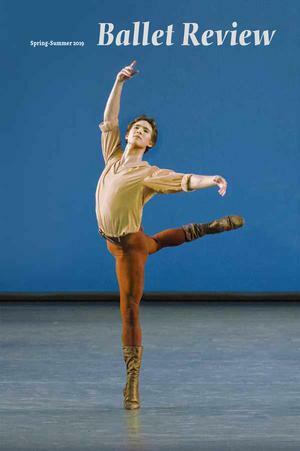 Joseph Gordon in Dances at a Gathering.